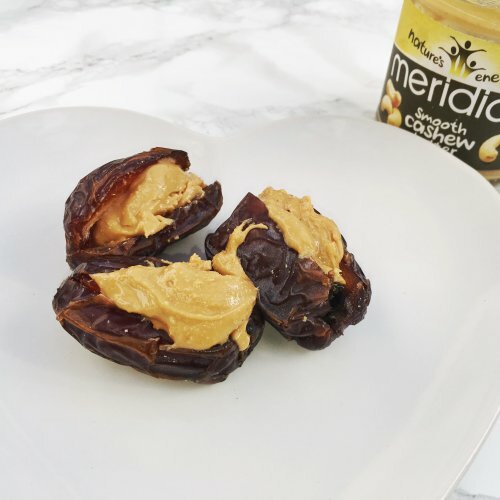 Have your kids tried dates; natures sweets? My kids love them. They are a deliciously caramelly, fudgey sweet treat. Pair them with some creamy and nutritious almond butter and you have a perfect afternoon treat snack or pudding. You need just 2 ingredients and 1 minute to pull this together. You'll often find me munching on these in the evening. Cut the medjool date in half and remove the stone. Spread 1 tsp between both halves of the date.